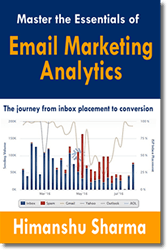 What is ‘Dynamic’ in Dynamic Remarketing? Remarketing is a technique which is used to re-target people who left your website and/or mobile app without completing a goal conversion (like making a purchase). The people who are re-targeted are known as remarketing audience. This audience is shown one or more targeted ads which are based on their past browsing behavior. For example, people who abandon the shopping cart can be re-targeted via ads which provide special discount or offer in order to lure them to return to the website and complete the purchase. Remarketing campaigns can help in increasing the ROI, as it is cheaper and more effective to target people who have already shown interest in making a purchase on your website than to target people who are not aware of your brand. Many advertising platforms provide remarketing these days. 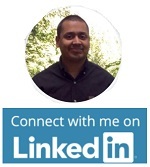 But in this article, I am going to discuss only the remarketing solutions provided by Google. #1 Remarketing list for search ads – It involves re-targeting people via Google Search Ads. #2 Standard (or Non-Dynamic ) Remarketing – It involves re-targeting people via Google Display Ads. #3 Dynamic Remarketing – It involves re-targeting people via Google dynamic ads. #4 Video Remarketing – It involves re-targeting people who watched your videos or YouTube channel. #5 Customer List Remarketing – It involves re-targeting people who are in your contact list. 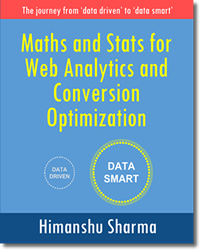 In this article, I will explain only Dynamic Remarketing and that too via Dynamic Attributes in Google Analytics. In the case of dynamic remarketing, Google automatically create re-targeted ads for your website visitors which are based on the actual product (or related products) or services they viewed on your website. 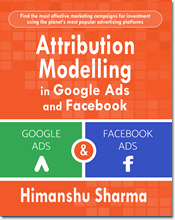 Google predicts which dynamic ad layout is likely to perform best for a particular person, placement and platform on the basis of a machine learning algorithm called the ‘AdWords product recommendation engine‘. Dynamic ads (or Dynamic Display Ads) are type of Google Adwords display ads whose layout is based on the template you created while setting up dynamic remarketing campaign in Google Adwords. The actual product information (like product price, product image etc) is dynamically created and inserted into the ads by Google during run time. Because of that reason, dynamic ads can scale with your products or services. Google pull the latest information for creating the dynamic ads via the most recent data feed uploaded to Google Adwords or the most recent product feed uploaded to Google Merchant center account. A data feed is a collection of all the products or services you want to advertise. Each row represents a product/service. Each column represents an attribute (like program ID, location ID, Programme name etc) of the item you have listed in the feed. Feeds are created as a .csv, .tsv, .xls or .xlsx file and then uploaded to Google AdWords. However if the industry category that best represents your products is ‘retail’ then you would need to use Google Merchant Center to upload your product feed. Since feeds are created as as a .csv, .tsv, .xls or .xlsx file they are actually database of products/services you want to advertise via dynamic ads. 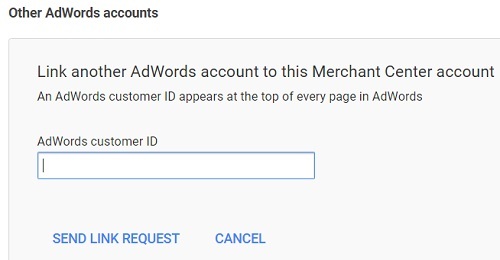 Note: If you are a retain business then you would need a Google Merchant center account and live product feed before you can run dynamic remarketing campaigns for your online store via Google Adwords. In the context of Google dynamic remarketing, business type is that industry category that best represents the products/services you sell. Dynamic remarketing setup varies from one business type to another. So selecting the best business type before setting up dynamic remarketing campaigns is critically important. Google provides different types of feeds for different business types. 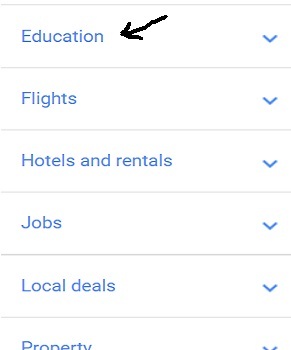 If the ‘education’ business type best represents the products/services you sell then you would create and upload ‘education feed’ to Google Adwords. If the ‘flights’ business type best represents the products/services you sell then you would create and upload ‘flights feed’ to Google Adwords. Similarly, if the ‘Hotels and Rental’ business type best represents the products/services you sell then you would create and upload ‘Hotels and Rental feed’ to Google Adwords. 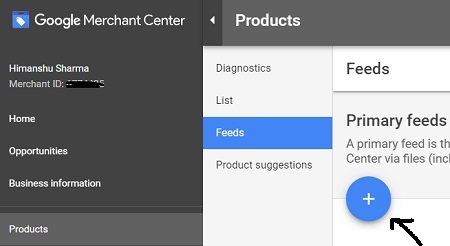 However if the ‘retail’ business type best represents the products/services you sell then you would create and upload ‘product feed’ to Google Merchant Center (instead of Google Adwords). If any of the aforementioned business types do not apply to your products/services then Google recommends that you use the custom feed. Note: Use the ‘Custom feed’ only if the other business types don’t apply to your products/services. A data feed is made up of rows and columns. Each column represents an attribute of the item you have listed in the feed. 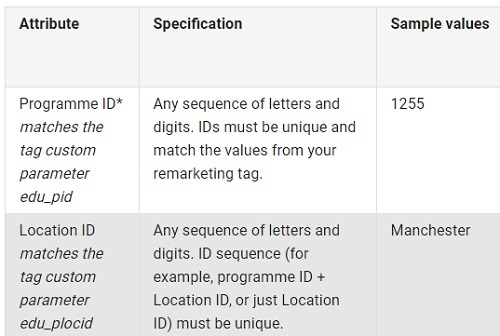 Google has set up rules regarding how each attribute should be written/used. These rules are called ‘specifications’. Each attribute comes with its own specification. The value of an attribute must match its corresponding specification otherwise your data feed will throw error. 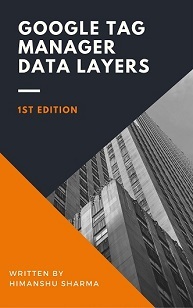 Different types of data feeds have got different attributes. Some attributes are required to be submitted via data feed. While some attributes are optional to use. However it is not easy to remember which attributes are required, which are optional and what types of attributes to use for a particular data feed. Here feed templates provided by Google comes handy. Step-4: Open the ‘csv’ file in excel, enter all of the required data in the format outlined by the feed template. Step-5: Upload the data feed to Google Adwords. If you are retail business then you upload the product feed to Google Merchant Center. 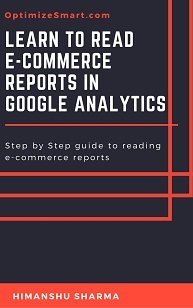 #2 Enable ‘Remarketing’ and ‘Advertising Reporting Features’ in Google Analytics. #4 Create, upload and troubleshoot your product data feed. Identify the business type that best represents the products/services you sell. So selecting the most appropriate business type before setting up dynamic remarketing campaigns is critically important. 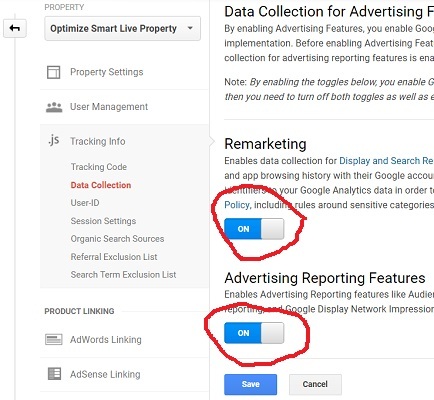 In order to create and use remarketing audiences in Google Analytics, you would first need to enable ‘Advertising Reporting Features’ for your GA property. 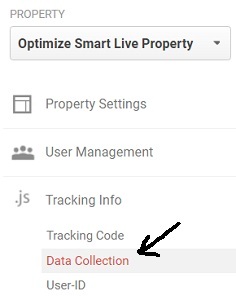 You can do this by either changing your GA property settings or by customizing your Google Analytics Tracking Code. Changing the GA property settings is the preferred method of enabling Remarketing and Advertising Reporting Features. If you want to enable Remarketing Lists for Search Ads, you would need to use the property settings method. Step-2.1: Navigate to the ‘Admin’ section of your Google Analytics view. Step-2.4: Click on the ‘Save’ button. 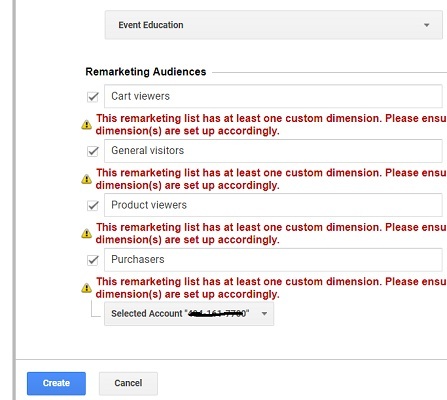 #1 You can use the remarketing audiences created in Google Analytics, in Google Adwords remarketing campaign. 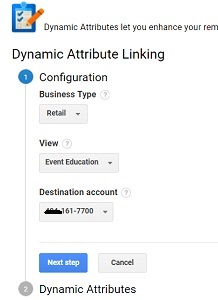 #2 You can send viewed product data from Google Analytics to Google Adwords via dynamic attributes. This step is required only if you manage/run an online retail business. But since many people run retail stores, this step is almost always required. Google Merchant Center account is used to manage your products’ information (via product data feed). The ads which use product data feed (as defined in your Google Merchant Center account) instead of keywords in Google Adwords are known as Product Listing Ads (PLA). Product listing ad is an ad format that includes: product image, product name, product price, business name and other details. Note: You can create product listing ads in Google adwords by creating a Shopping campaign. Create Product data feed according to Google’s product feed specification and Google shopping ads policies. Step-4.3: Upload and troubleshoot your Product data feed. Once you have uploaded the product data feed, your products would be eligible to be listed in the Google Shopping Results (provided it does not violate feed specification guidelines and Google Shopping ads policies). 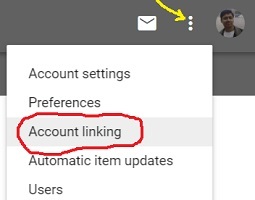 Step-5.1: Login to Google Merchant Center account. Step-5.4: Login to your adwords account and then approve the link request from Google Merchant center. This action will complete your Google Merchant Center and Google Adwords integration. Note: Google Merchant Center is available only in selected countries. total value of a product etc. So, If you want to show ads to users based on the product they previously viewed on your website then you need to create a mechanism through which you can automatically collect and send attributes of viewed products to Google Analytics. You can do that by creating custom dimensions. 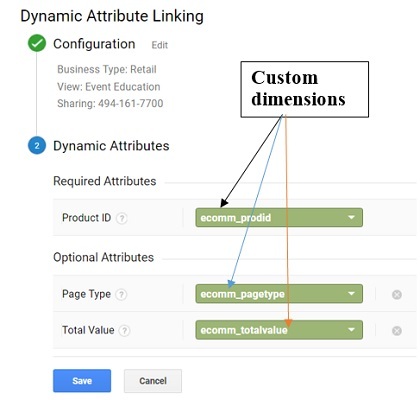 Through custom dimensions you can send attributes for your business types to Google Analytics. The custom dimensions you create and the attributes you send depend upon your business type and the user action. 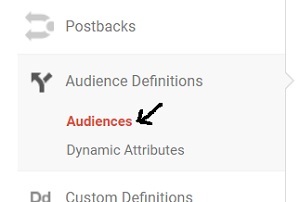 For example, if your industry is retail, then you would need to send attributes like product ID, product title, product description etc to Google Analytics via custom dimensions. If your industry is travel, then you would need to send attributes like Origin ID, Destination ID etc to Google Analytics via custom dimensions. Similarly, for industry like Property, you would need to send attributes like Listing ID to Google Analytics via custom dimensions. Some attributes are required to be send to GA while others are optional. Sending other retail attributes like: ecomm_pagetype (type of page visited by a user like: product category page, product detail page etc) and ecomm_totalvalue are optional. You can get a complete list of all the required and optional attributes for each industry vertical from this article. #1 Set up custom dimensions in your GA property. 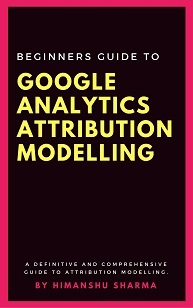 #2 Modify your Google Analytics tracking code. In this code, <ecomm_prodid>, <ecomm_pagetype> and <ecomm_totalvalue> are server variables. Your developer will write a server side script which can send viewed product data to these variables. Once the product data is passed to server variables, it will be available to Google Analytics via custom dimensions. 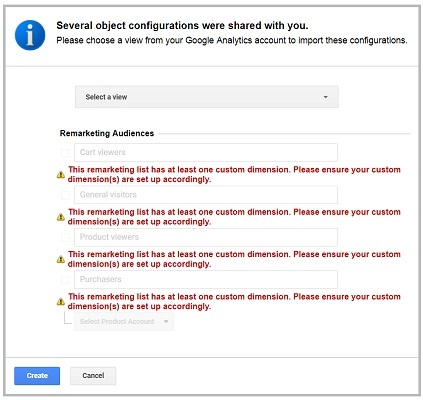 Import a preconfigured remarketing audience related to your business type into Google Analytics. 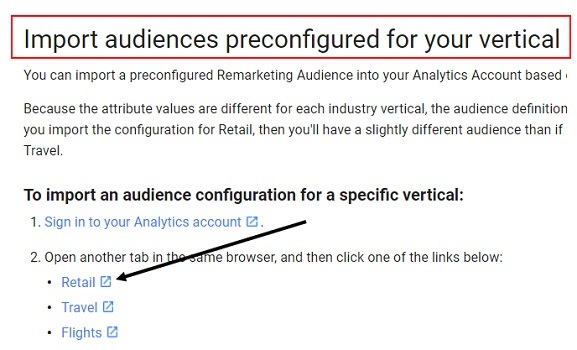 I will explain importing a preconfigured remarketing audience into Google Analytics as it is technically easier to implement for majority of people. 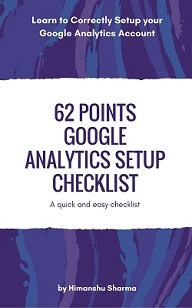 Step-1: Navigate to this page https://support.google.com/analytics/answer/3457161?hl=en. Step-4: Select the Google analytics view in you which you want to import your audience. 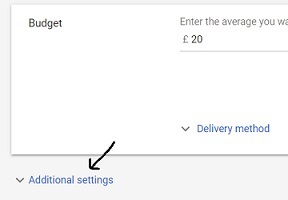 Step-5: Select the Google Adwords account (with which you want to share the dynamic remarketing audience data) from the ‘selected product Account’ drop down menu. 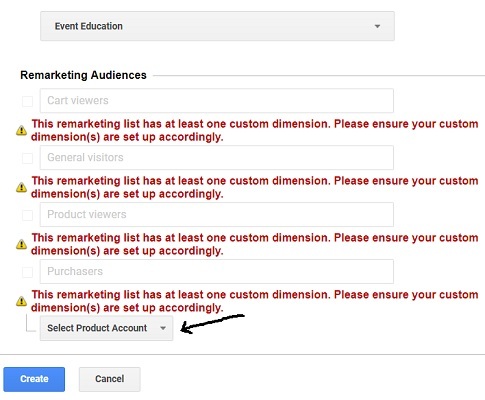 Step-6: Click on the ‘create’ button to complete the process of creating new dynamic remarketing audiences. 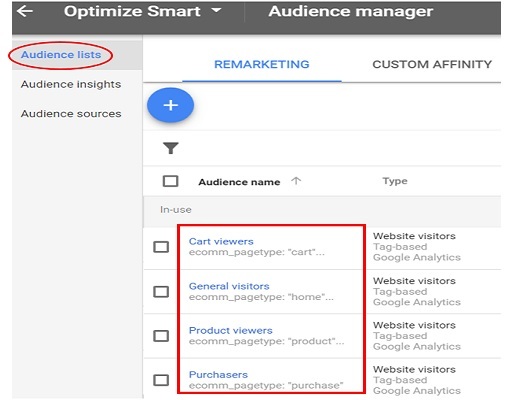 Note(1): Here ‘Cart viewers’, ‘General Visitors’, ‘Product Viewers’ and ‘Purchasers’ are the new dynamic remarketing audiences. Note(3): You can also use non-dynamic remarketing audiences for dynamic remarketing purpose. 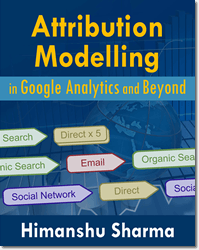 Through dynamic attributes Google Analytics can send the viewed product data to Google Adwords. Here I have selected the three custom dimensions I created earlier for retail business type. Step-2: Select ‘Display’ as campaign type. Step-3: Select ‘sales’ as goal and then follow the on screen instructions. Step-9: Upload your product feed when your campaign is ready. 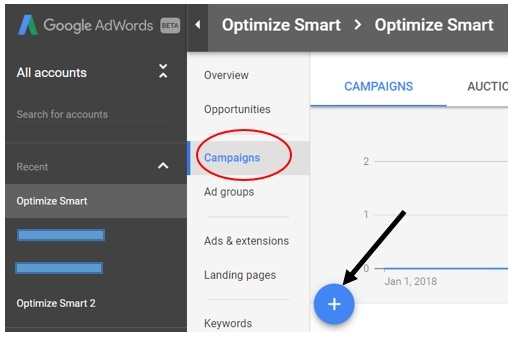 Once you have completed the creation of dynamic remarketing campaign in Adwords, Google Adwords will then automatically create dozens of different types of display ads for you. 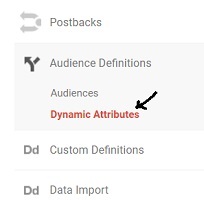 That’s how you can setup dynamic remarketing via dynamic attributed in Google Analytics.